Most of us don’t think about our kidneys unless they signal distress through a dull backache. We know they are good liquid filters, but why should we pay attention to them? The kidneys also help to balance the alkalinity of the blood. They conserve water and balance electrolytes by reabsorbing the exact amounts required, minute by minute and sending the excess out through the urinary tract. This is done through a complex network of electrochemical responses from the brain, nervous system and endocrine system. The urine carries salts, including calcium oxalate, uric acid, cystine and xanthine. 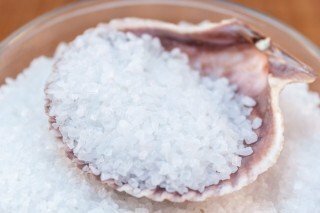 These salts can become extremely concentrated if there is not enough water to dilute them. If they can’t be flushed out, they can form kidney stones. Kidney stones are a common cause of blood in the urine and pain in the abdomen. Normally, urine contains substances that protect against stone formation, including magnesium, citrate, pyrophosphate and enzymes. These substances coat the crystals and prevent them from sticking to the surface of kidney tubes. Catching the stones when they are small gives you a good chance of flushing them out; otherwise shockwave therapy can be used. Diabetes and high blood pressure put one at risk of developing kidney disease. Early detection and treatment can often keep chronic kidney disease from getting worse. A few “kidney-friendly” foods include red peppers, cabbage, cauliflower, onion, garlic, berries, cherries, red grapes, eggs, fish and olive oil. Click here to find out how you can improve your diet to also improve the health of your kidneys. Drinking good-quality water can make all the difference to these rather busy organs. Click here to find out what this entails.